Donia Colbert-Davis is our office manager. 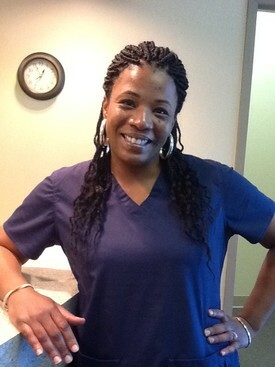 She has been with our office for 6 years and has over 15 years of experience in the dental field. She recently married, is the mother of two sons, and also has a granddaughter who is the light of her life. Donia loves sports and is a huge Peyton Manning fan! She enjoys spending time with her family, attending sporting events, shopping, reading, and traveling. 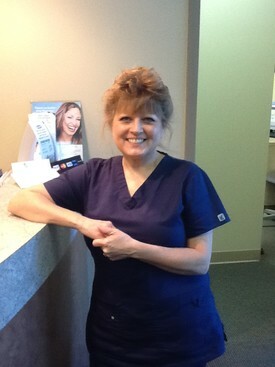 Vicky is a highly trained Dental Hygienist with over 20 years of experience. She has been with our office for 2 years and is very professional, gentle, and thorough when addressing your dental needs. Vicky is married and a has one daughter. She enjoys swimming, spending time with her family, and caring for her 3 dogs. Her outstanding quality is that she is one pint away from her 5 gallon blood donor pin! Kristi Stell-Allen is our Scheduling Coordinator. 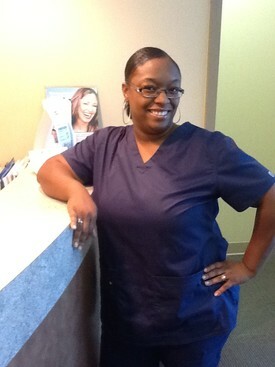 She has been with our office for 2 years and has over 11 years of experience in the dental field. Kristi has been married for 8 years and is a mother of 4 children. She enjoys spending time with friends and family, attending rodeo's, is a avid food lover, and enjoys trying different foods. She also loves music and dancing, and is a huge Chris Brown fan! !